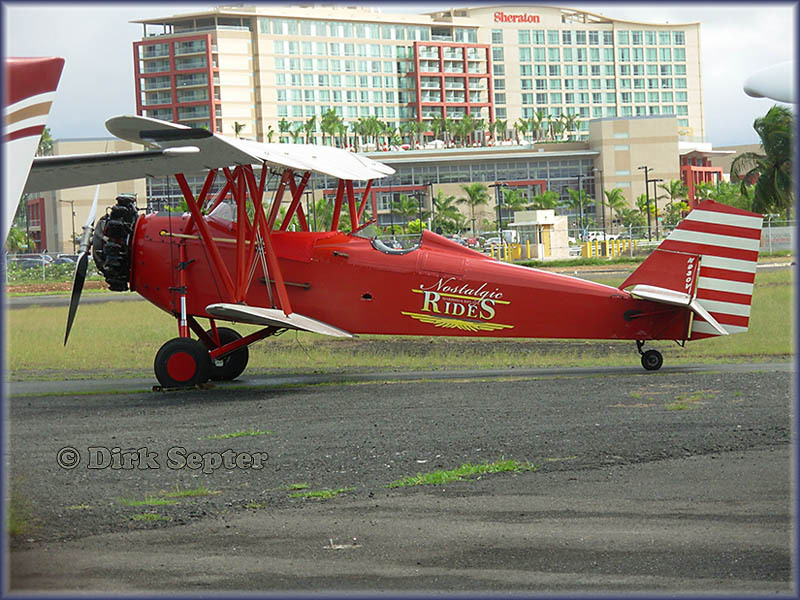 Dirk Septer shares my interest in vintage aircraft and aviation history. His focus includes the large multi propellor aircraft as well as the undefeatable bushplanes. After an incidental contribution, he sent me a series of photos from a visit to the exotic Caribbean , so I got to work to include it on a specific page, a Personal Showcase..! Another (cruise)trip took Dirk to Murmansk and expanded the horizon of this page. Dirk sent me this photo taken at Malaga,Spain Airport on 14Apr18. 1963 DH-104 Dove Series 7A, s/n 04535; ex Moroccan Air Force (Jul 1964 till 1978); 1978 registered N9890A and as of Oct 1981 with Visionair International Inc. of Miami, FL; and finally registered as CN-MBB; retrieved fromTorremolines scrapyard and stored at Malaga with sister ship CN-MBA." In Dec.1978 transferred to the People's Army of the People's Republic of Hungary. 23Feb89 donated to Museum of Transportation and in 1991 moved to present site at the Aviation Memorial Air Park. 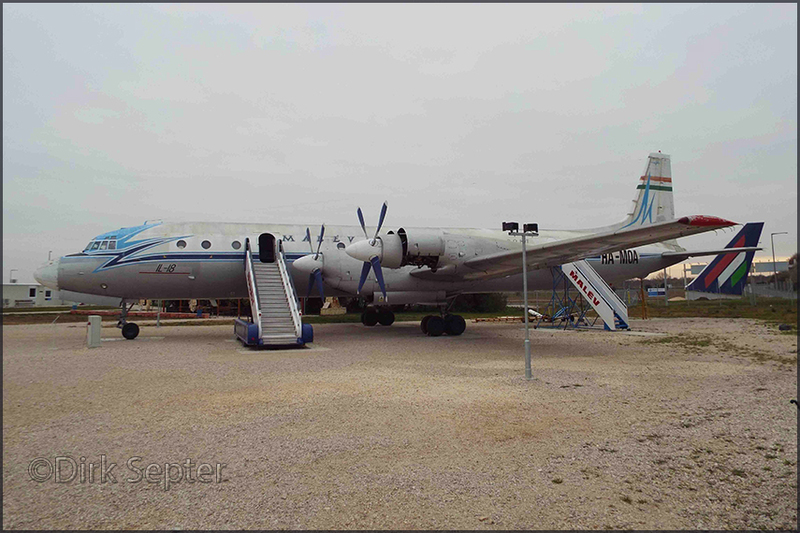 Ilyushin IL-18V HA-MOA (c/n 180001903), previously at the 'Közlekedési Múzeum'. built behind the former Iron Curtain. " 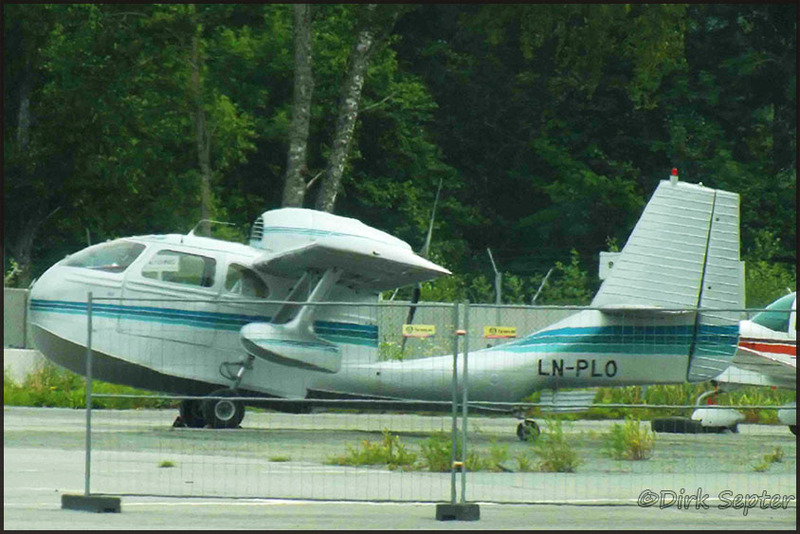 Seabee LN-PLO (c/n 813); ex/ N6547K." 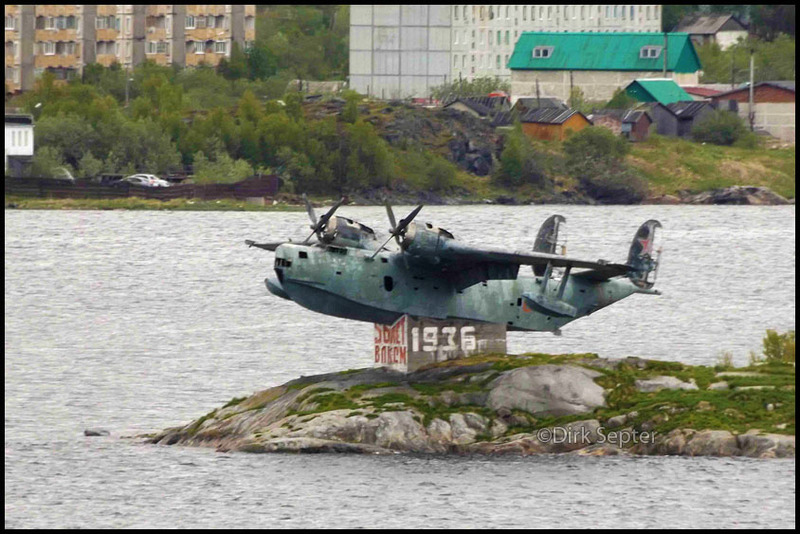 Dirk wrote: "Here are three photographs I took at Murmansk, Russia on 04Jun15: The old flying boat marked '55' sits on the beach on the east side of the channel just before entering the Murmansk harbour. The second one, mounted on a concrete base sits on a small island almost opposite the other one. It has some writing in Russian on the front of the base and "1936" on the side. Any idea?" 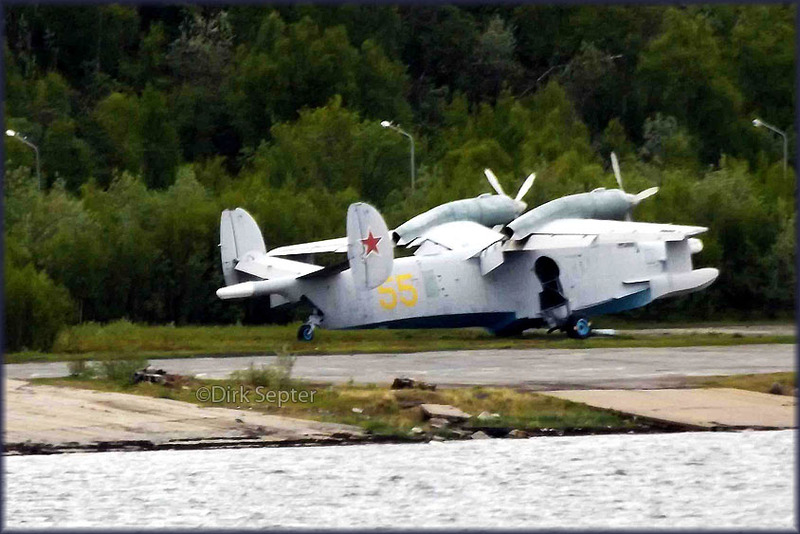 Answer (Webmaster): "Both are Beriev flying boats, '55' obviously a later version, seeing it equipped with radar in the nose." By googling I first found the above a Beriev Be-6 and noticed a '01' painted on the fuselage on a series of Wikimapia images (here). Did not find an explanation for that year, '1936', nor what was written ('Soviet ...?). Guus Ottenhof, co-author of 'Soviet Transport', offered the following: "Be-6PLO ('01' Red, c/n ??) of the Soviet Navy, has probably been operated by 403 ODRAP; so now displayed on a pedestal on this island in Gryaznaya Bay, near Safonovo (N69.067071 E33.270708) since 1969. The text on that pedestal is not 'Soviet ...' as you suggested but '50 Let' (meaning 50 years) VLKSM 1936/1986. For the explanation of 'VLKSM' see: https://en.wikipedia.org/wiki/Komsomol "
The one below, '55 Yellow' is a Beriev Be-12. 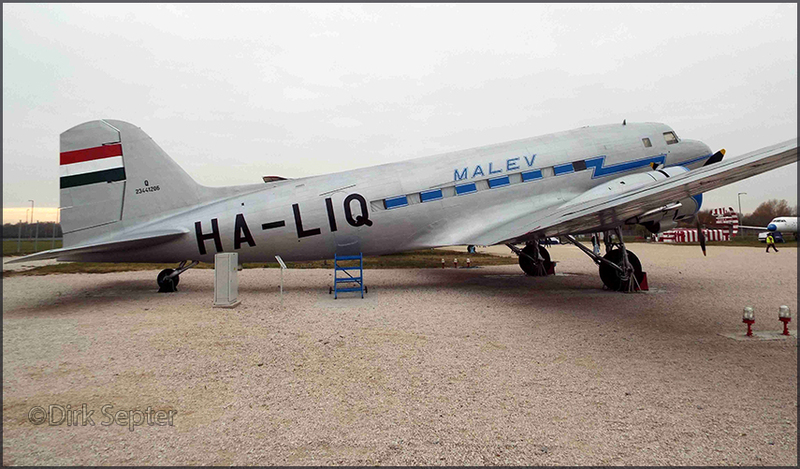 I found an image on Spotters.net.ua "
More info on the Beriev Be-12 (Chayka ('Seagull', NATO reporting name: 'Mail') on Wikipedia. 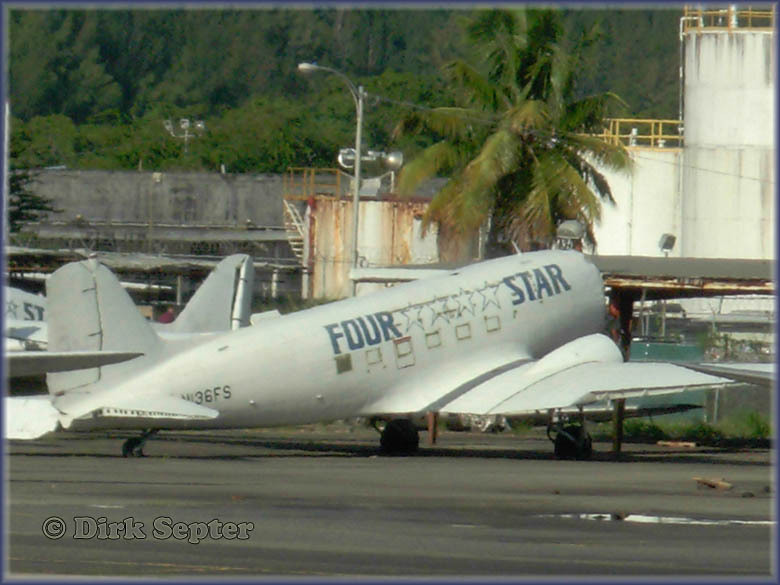 Convair CV440 N155JR (c/n 433) languishes at the international airport of St.Thomas. 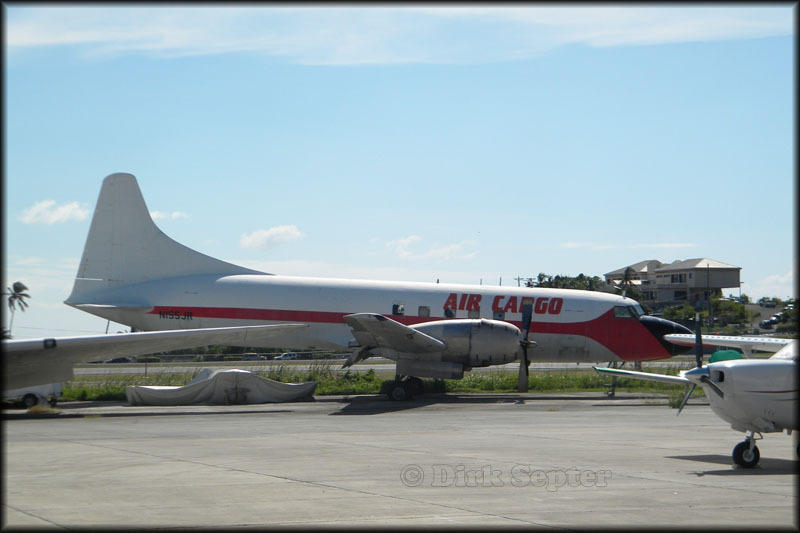 Another shot of 1957-vintage Convair 440 (c/n 433) N155JR shot at St. Thomas on 29Nov2010, this time showing the Air Cargo titles. It was formerly owned by Jet One Express, the registration was cancelled on 16Mar09 from the FAA Register. Dodita Air Cargo's Convair CV440 N912AL (353) taken at San Juan-SJU, on 02Feb08. 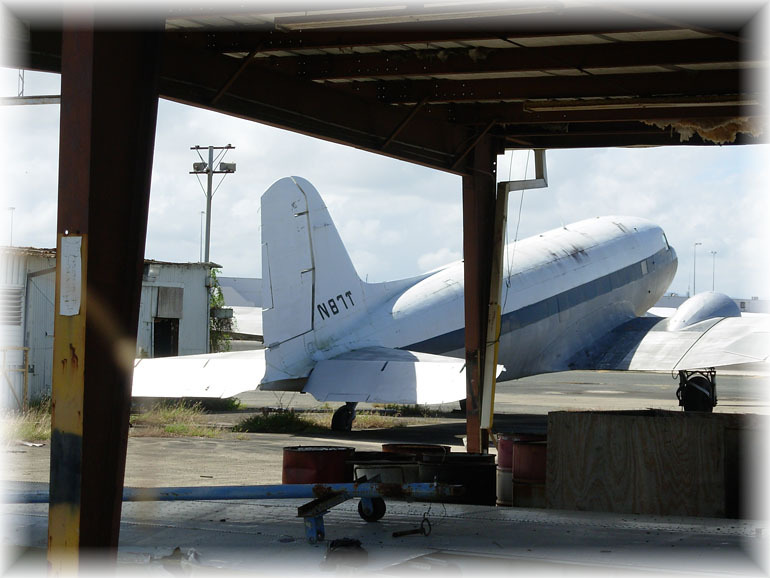 CV440 N912AL (c/n 353) was used at an off-airport location, as part of Restaurant Los Aviones, at Barranquitas on Puerto Rico. 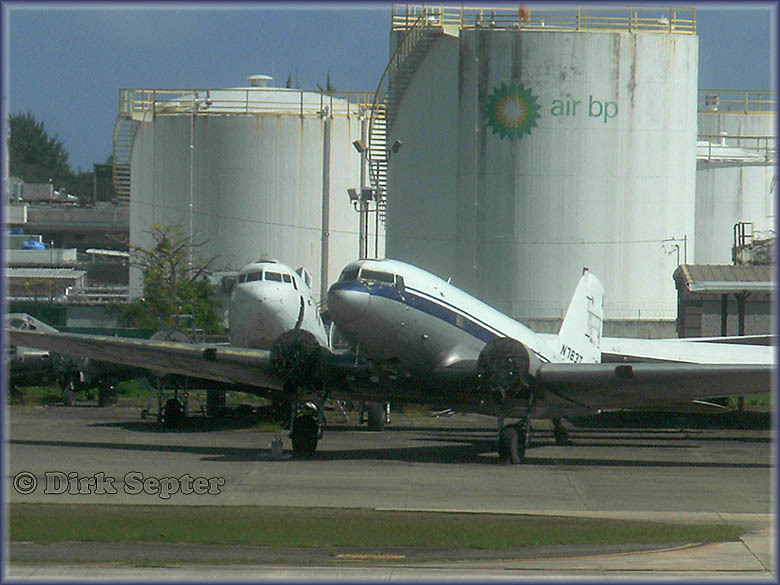 They also had DC-3C N781T and C-47B N780T there. Unfortunately hurricane Irma in Sep.2017 caused so much damage that the restaurant closed. San Juan int'l airport 02Feb08. The Federal Aviation Administration (FAA) revoked Air Tahomas AOC effective January 14, 2009. A recent audit resulted in 30 findings related to "systemic problems" involving record-keeping, maintenance and operations. 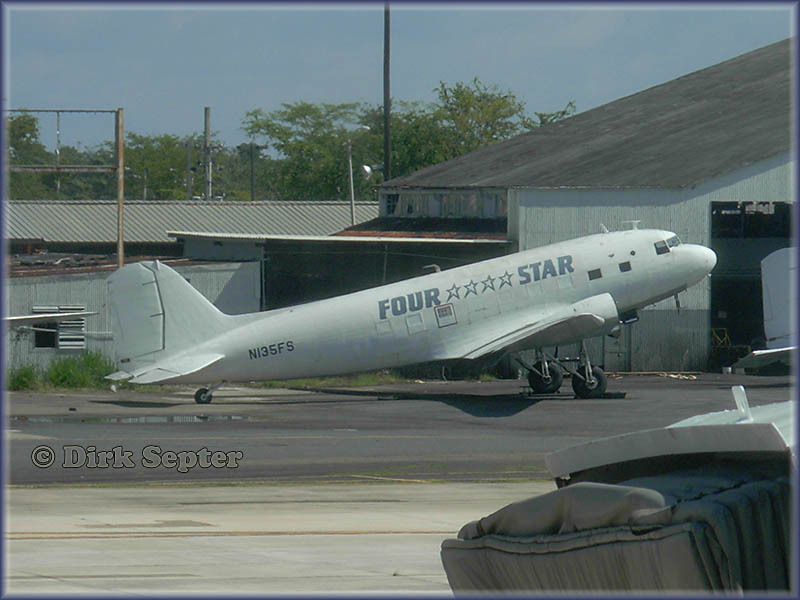 Douglas C-47A N132FS c/n 14333/25778 was spotted by Dirk at St.Thomas, stored (01Feb08). N138FS (c/n 9967) of Four Star Cargo can be easily identified by the Snoopy character, painted on the nose. 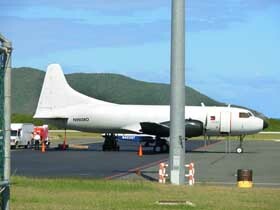 Seen here at San Juan-SJU on 02Feb08. In March 2015 it was reported present at St Lucie County Airport,FL. N138FS arrived there from Puerto Rico summer of 2014, is owned by Tradewinds Aviation, whose Vice President Eric Zipkin has an interest in DC-3 N74589 (also at St Lucie County Airport). See Photos by Friends & Guests #54 for a photo update of N138FS operating with/for Alen Enterprises Inc. @Opa Locka (Jan.2018). According to Dirk this is N131FS, but the tailnumber cannot be seen and it lacks distinctive markings. 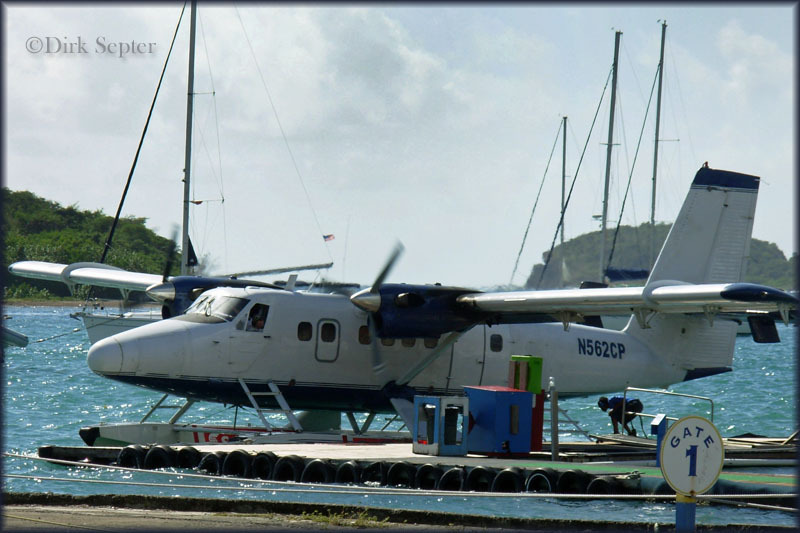 N131FS had an incident on 23Jul08, when upon landing at St.Thomas (Virgin Islands) and exiting the runway to taxi to the ramp, flight 131 reported the left engine on fire; the aircraft suffered unspecified damage. 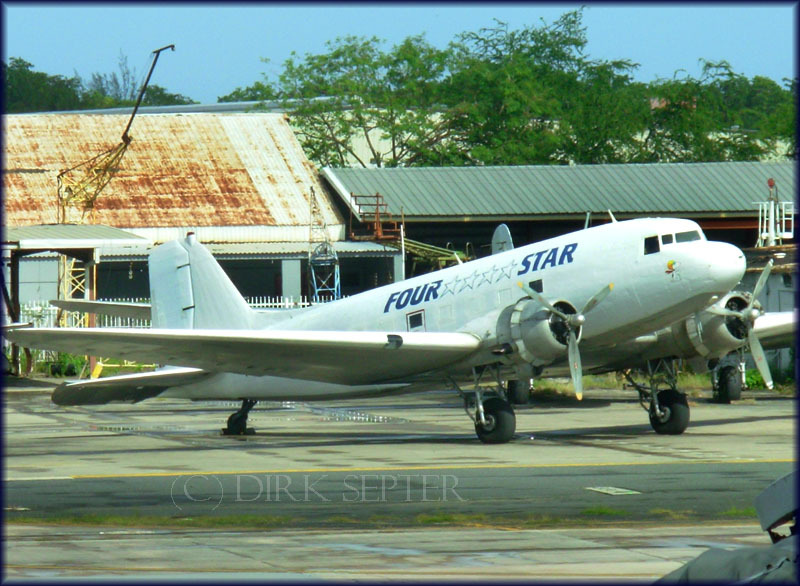 Since the demise of Four Star in 2009 their DC-3s had been stored and anno 2016 most have been scrapped. Only 2 survived, N131FS was one of these. N138FS was the other (went to Florida Air Cargo). N131FS was flown out (2015?) 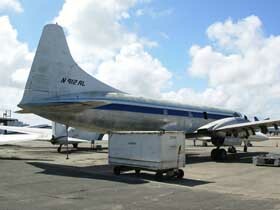 and is parked at Flabob Airport in California and is to be used for spares supply to support resident N103NA. 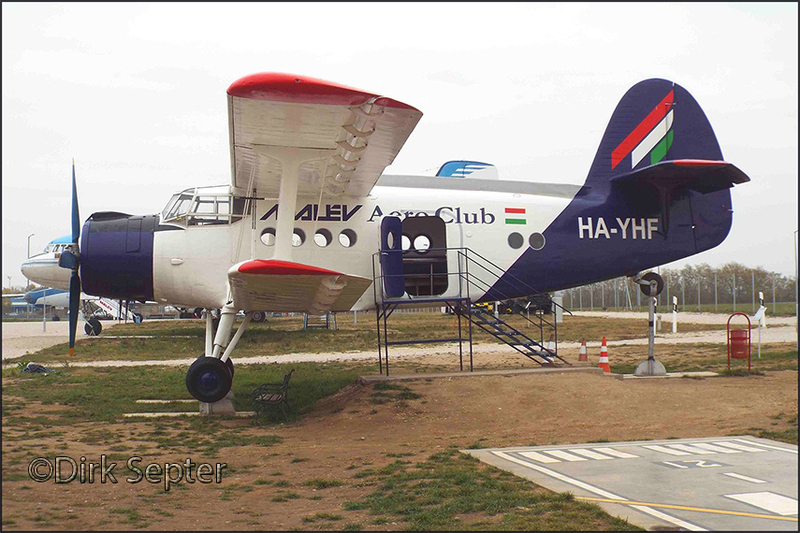 Afterwards it will get two timed-out engines and put up for static display at a local park (AirClassics 'Propliner Round-up', april 2016). 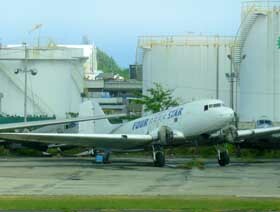 N87T is a former Tolair Services DC-3C, c/n 6148. Been registered to MDB Corp since 10Sep99. 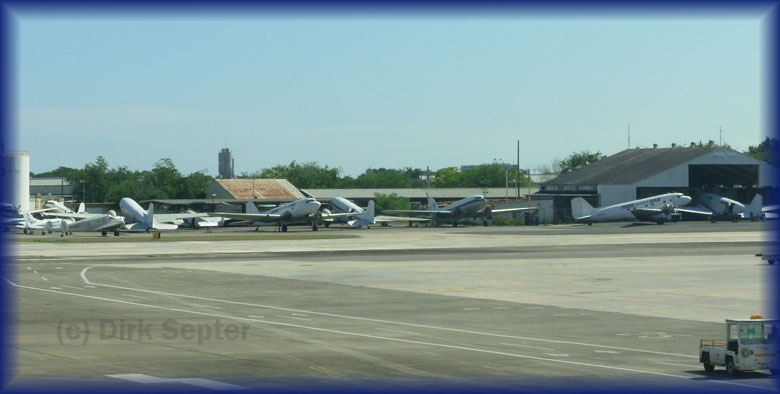 It is seen parked here with Four Star Cargo at San Juan IAP on 02Feb08. Dirk wrote: "... also photographed some Twin Beeches. 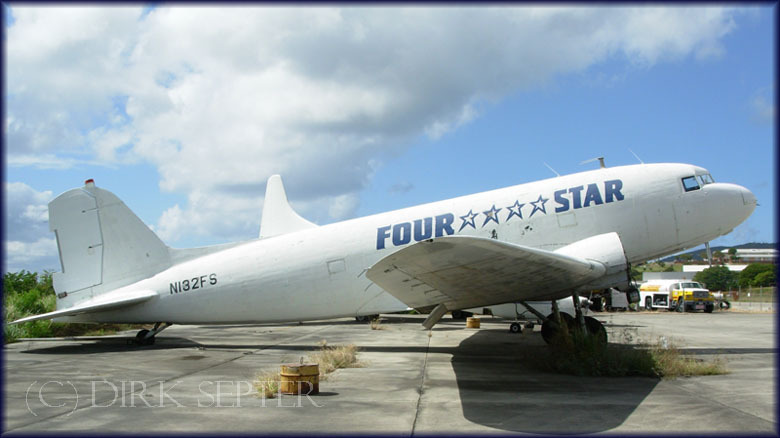 'Four Star' has apparentlty four of them, but they are currently grounded. I had a hard time getting pics of them without getting into trouble..."
N728T is a Beech E18S, c/n BA-130. It was registered to MDB Corp on 08Feb99. 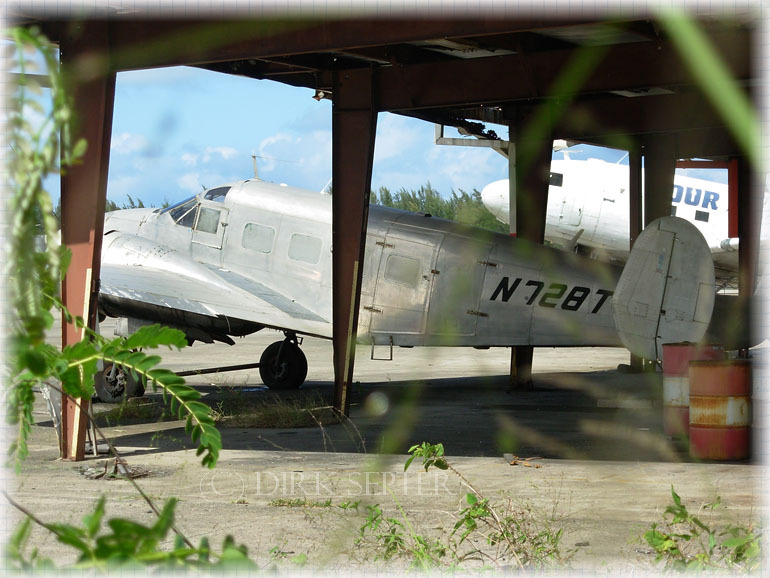 Dirk took a clearer shot of N728T on a previous visit. 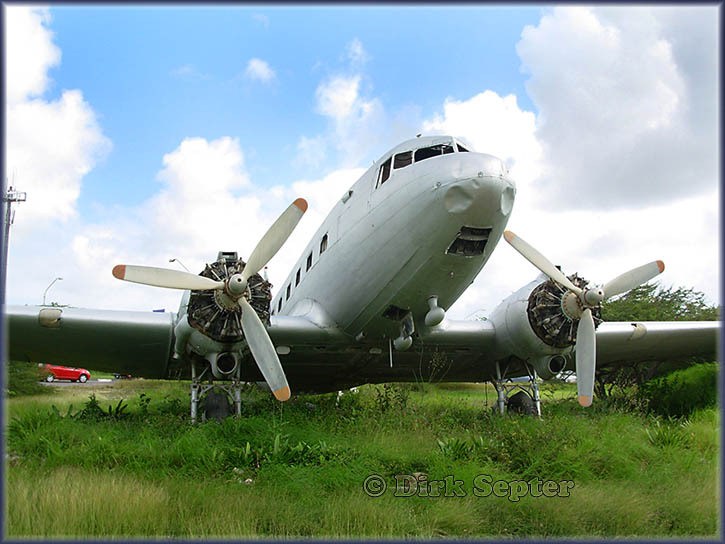 The above photo was taken at San Juan's Luis Muñoz Marín IAP (see Wikipedia) on 02Feb08, while below photo of N749T was taken at St. Thomas the day before. 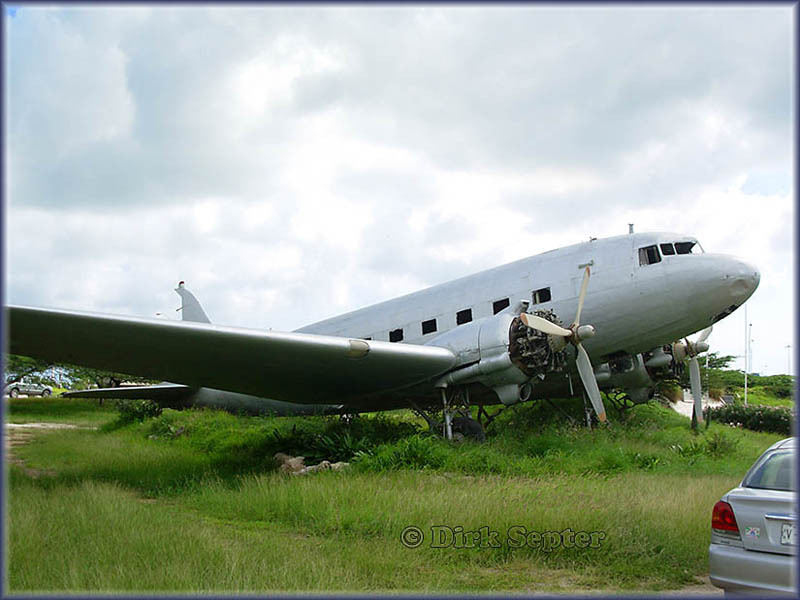 This Beech E18S (BA-55) was built in 1955 and it seems it has reached the end of the road here. It suffered on landing at Virgin Gorda,VG 13Apr05 a collapsed gear, but at least that seems rectified... The FAA website shows it registered to MDB Corp (listed adress as PO Box 37840, Carolina,PR) as recent as 31Jul2000, but indicates there has been no interest to keep this registration current. 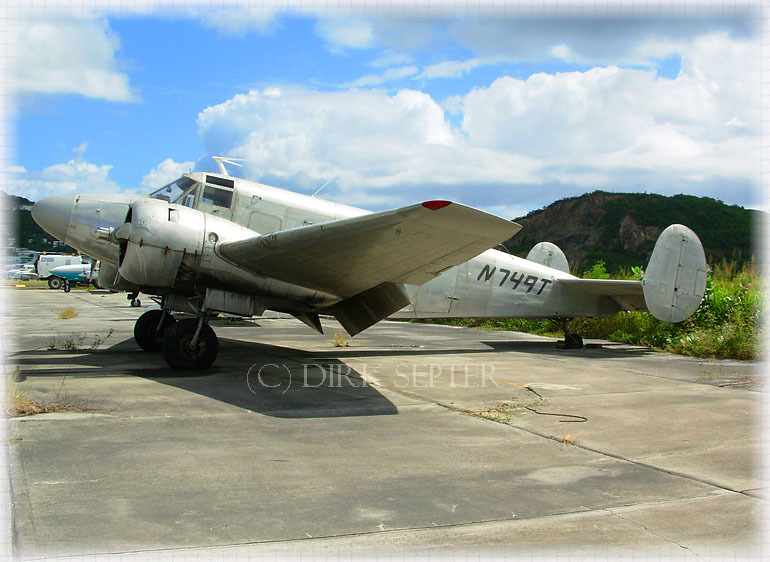 Jim Berriman wrote me on 06May09: "Those four Beech 18s that Dirk Septer photographed in the Virgin Islands are now for sale on Ebay in a single lot, auction number 320366318627, expiring tomorrow." N749T (c/n BA-55) was registered on 22Sep09 to Matthew James Walker, Henderson,NV. Let's see if it ever makes it to Nevada..? UPDATE: N749T was registered 02Feb2010 to Seven Stars Air Cargo Corporation, Catalina,PR. A flock of Gooney Birds (and some other propliners) at San Juan in 2007; a few years later none would be left! Dirk Septer sent me this image in Oct.2016; he wrote: "It's not too often (any more) that you can get seven DC-3/C-47 aircraft in one shot. 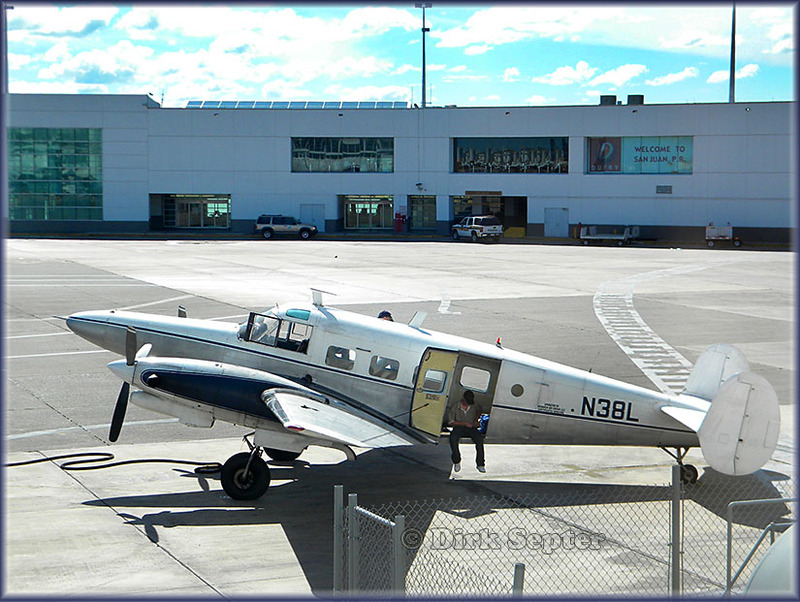 Here is a photograph I took at SJU (Luis Munoz International Airport, San Juan, Puerto Rico) on 12Apr13. 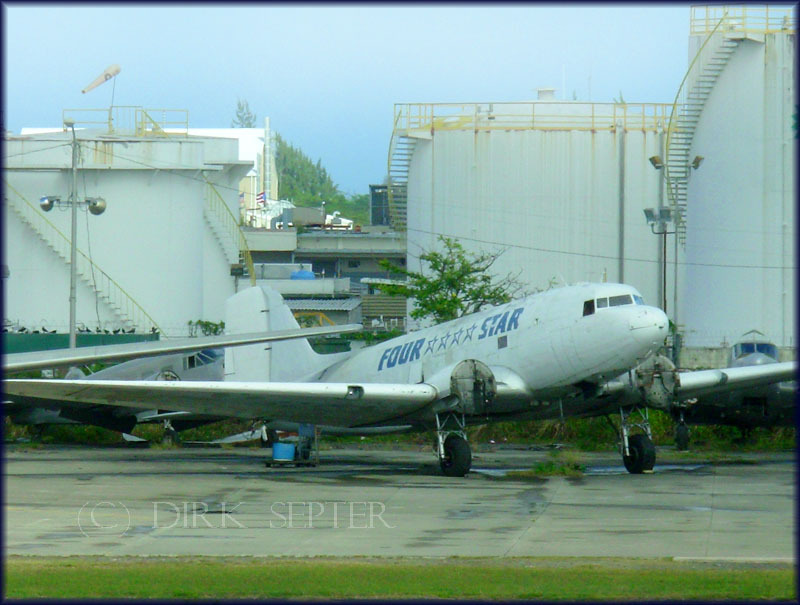 It shows seven of former Four Star Air Cargo Dakotas waiting disposal after this operator went bankrupt in 2009. I'm wondering where they all ended up?" I decided to take up on the challenge! I scanned the fleet information of JP Airline Fleets 2006/07 (the last printed edition I have, my collection dates back to the 1980s though I really don't know why I hang on top them..?). 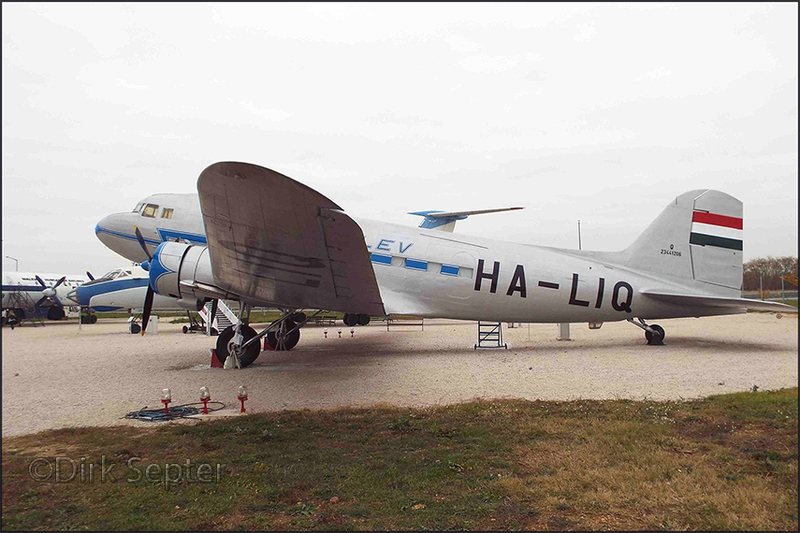 While the information offers 6 DC-3's and the photo shows 7, I think it is a good start. I compared the above tailnumbers with data on ATDB.aero online database and (..) is info from my own database. 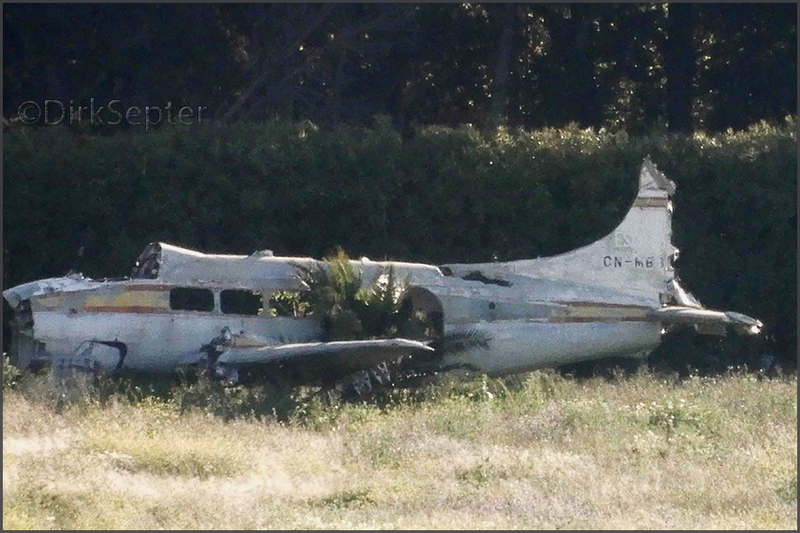 N132FS cn25778: scrapped at St.Thomas / Cyril E. King Airport,VI. N135FS cn20063: scrapped @SJU, cockpit section purchased 3-2015 by Mark Bruce and shipped to Berlin,MA. 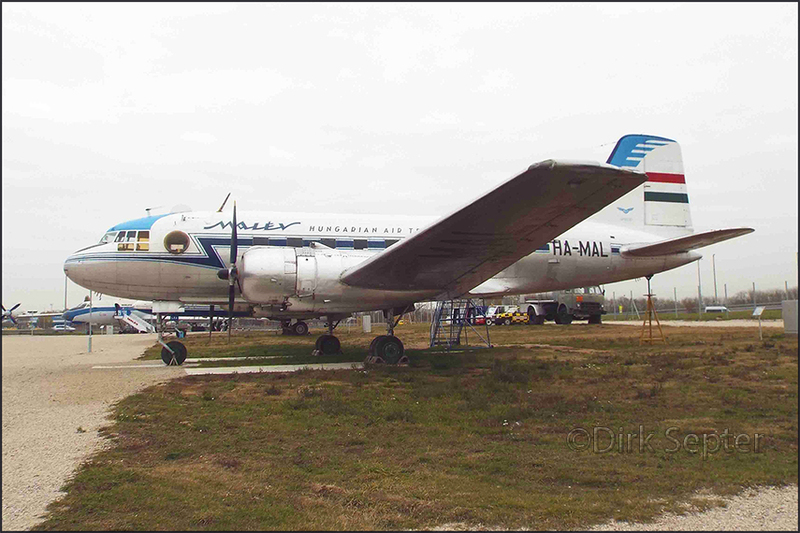 N783T cn4219: derelict at SJU-The Luis Muñoz Marín IAP. Airliners.net has 2015 image. No.7 is probably N87T cn6148: scrapped @SJU, cockpit section purchased 3-2015 by Mark Bruce and shipped to Berlin,MA. 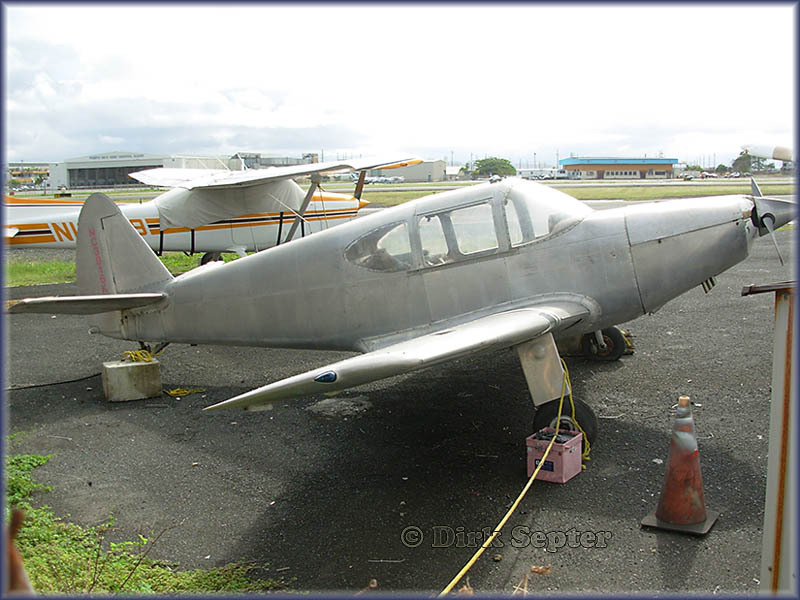 An image of N87T in 2008 is published further up on this page. Michael Prophet published on his website an update which includes images of DC-3 cockpits for Mark Bruce. 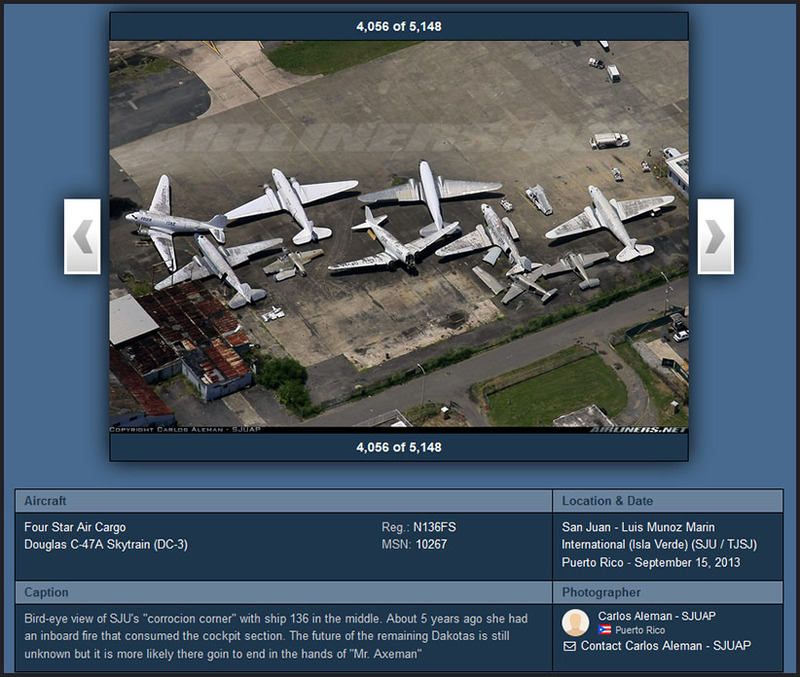 And this image also numbers 7 DC-3's, but moved around I think since 2007. 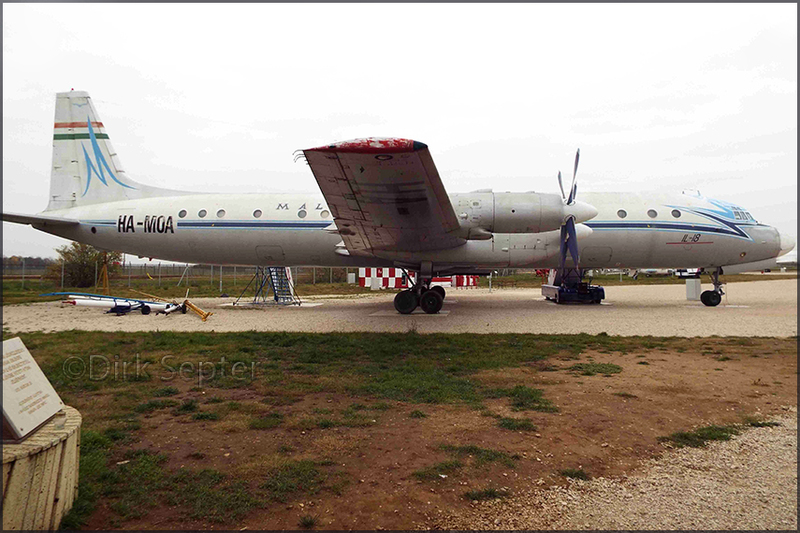 Dirk Septer photographed this NAMC YS-11 PJ-WIK (c/n 2025) early 2007. 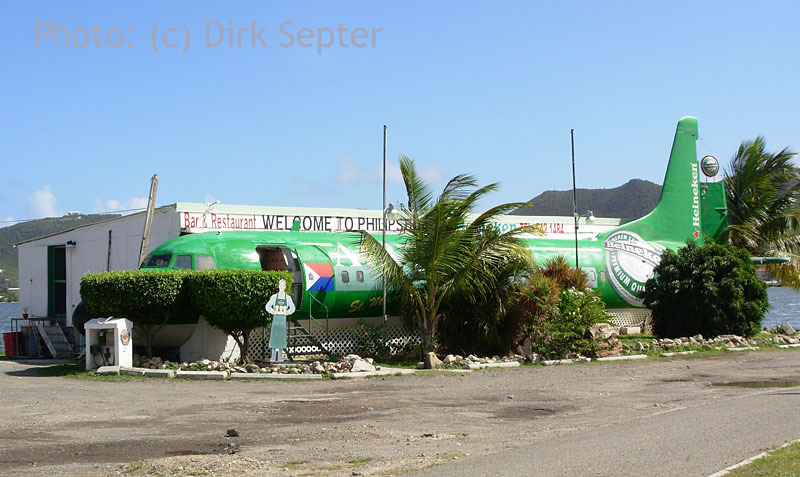 It is part of a restaurant at St.Maarten (Dutch Antilles); my records showed the name as Restaurant Air Lekkerbek (a fried fish, battered & fried cod, I think). Dirk enjoyed the 'special': bami goreng, his (and many others', I am sure!) favourite Indonesian food. 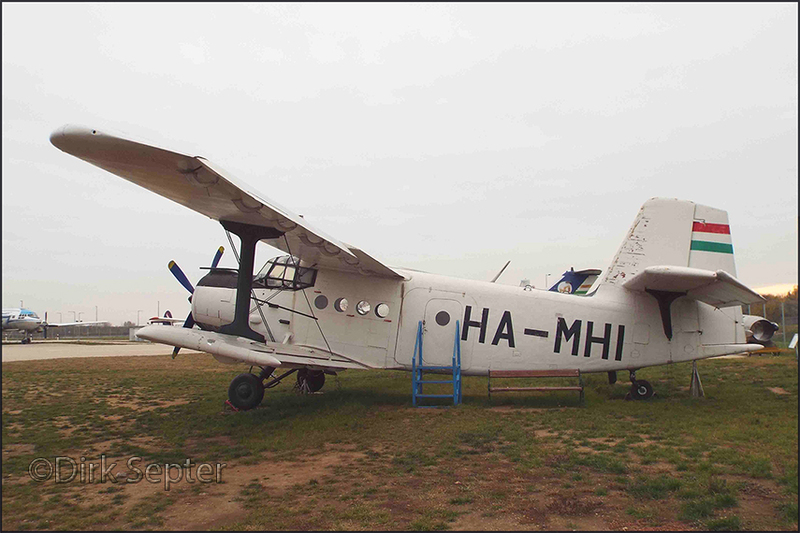 "This YS-11 carried tailnumber RP-C1420 from 1977 to 1985, but was reregistered N107MP and later again to PJ-WIK. 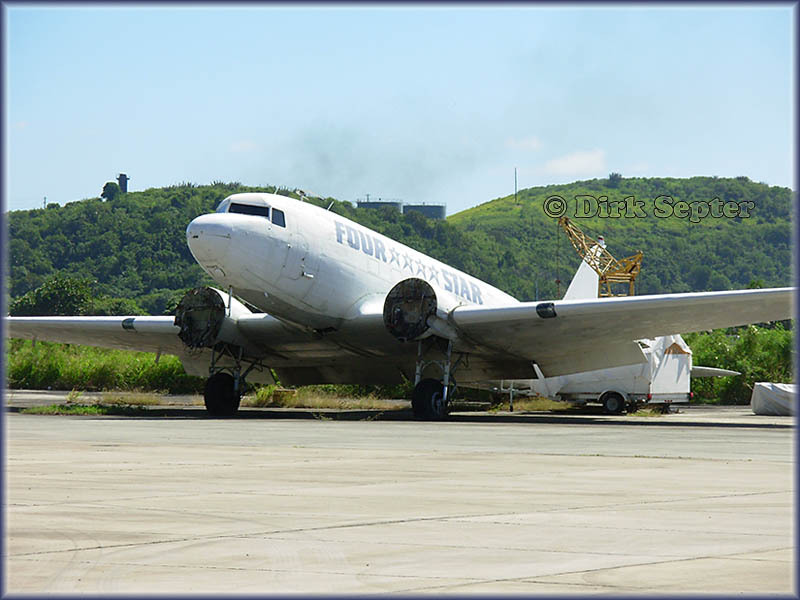 With that last identification it arrived at St.Maarten (for Winair - Windward Island Airways)." 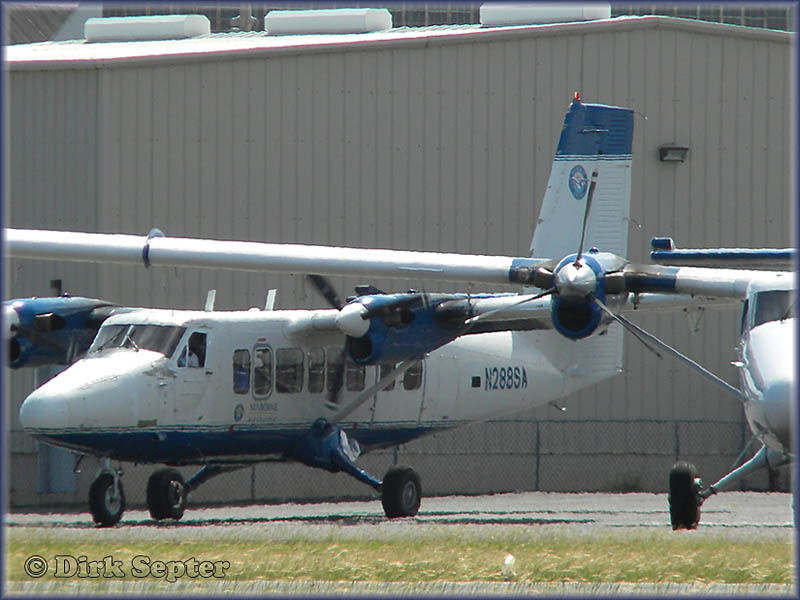 "Attached are a few shots of NAMC YS-11 c/n 2025, built 1966. 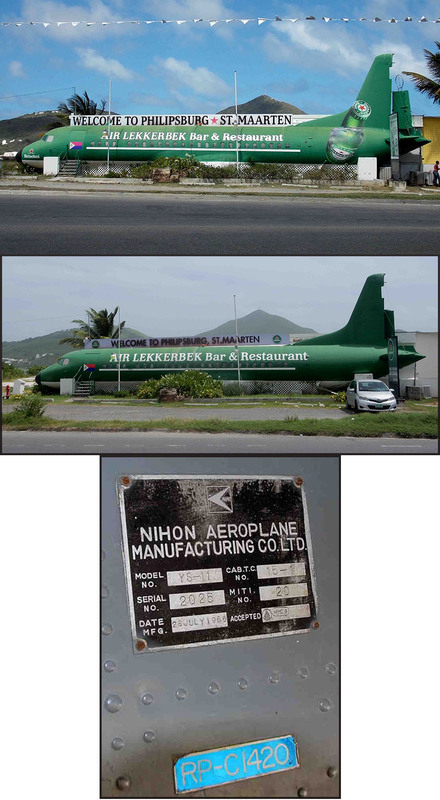 Ex WinAir PJ-WIK at Philipsburg, St. Maarten taken on 14Apr2013 (top) and 28Sep2016, respectively. The most recent one does not show any Heineken advertisements any more. Also the welcome sign is different. I'm not sure whether the restaurant is still open. I wanted to stop by for some bami goreng and a Heineken, but found the door locked. They show both different paint schemes than my first picture taken in 2007 and the Dec2009 one in your link taken by Matthew Anderson's girl friend. This has become quite a thread on my Off-Airport Latin America Gallery! 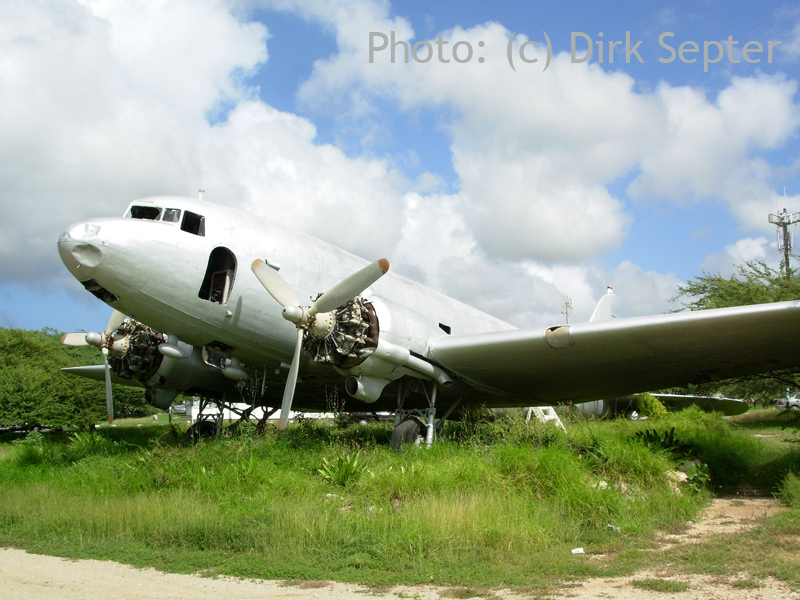 On 24Jan07, Dirk spotted on Aruba, Dutch Antilles an abandoned Douglas C-47 sitting parked across the highway from the Princess Beatrix Airport. No titles or former registrations were visible. 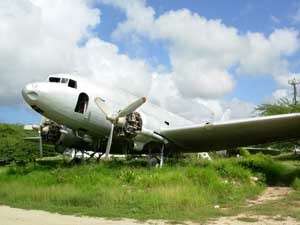 Dirk wrote: "Though Jet Engine Industries apparently purchased it on 03Dec91, the C-47 remained at Aruba in its current derelict state till the present day. On 07Mar44, the transport (c/n 19778) was registered as 43-15312 to the 8th Air Force, and was transferred to the 9th AF on 26Apr44. 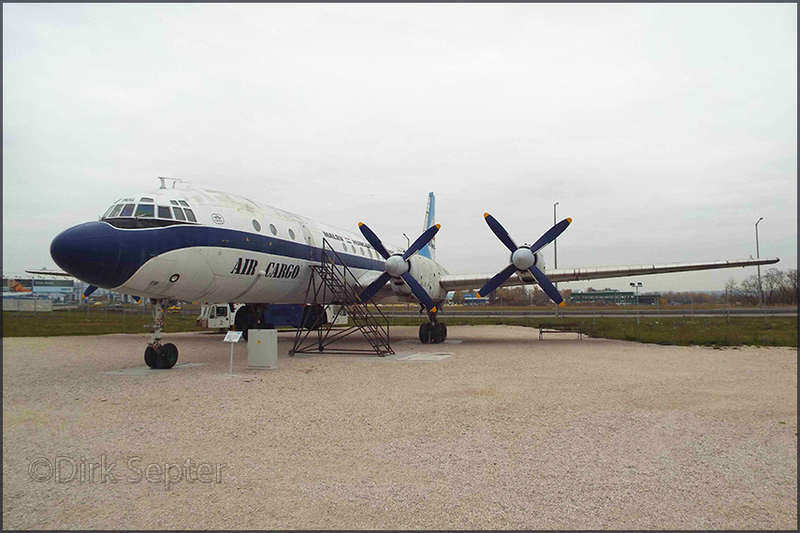 At the end of World War II, the Pan American Import-Export Co. acquired the aircraft and registered it as NC54099. 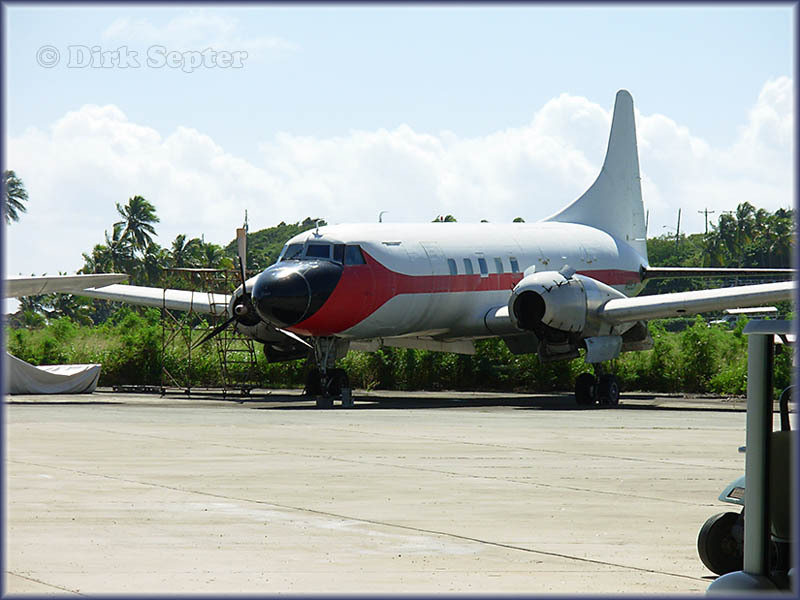 Changing ownership a few times, it later ended up as PP-SQO with VASP, on 17Aug51. 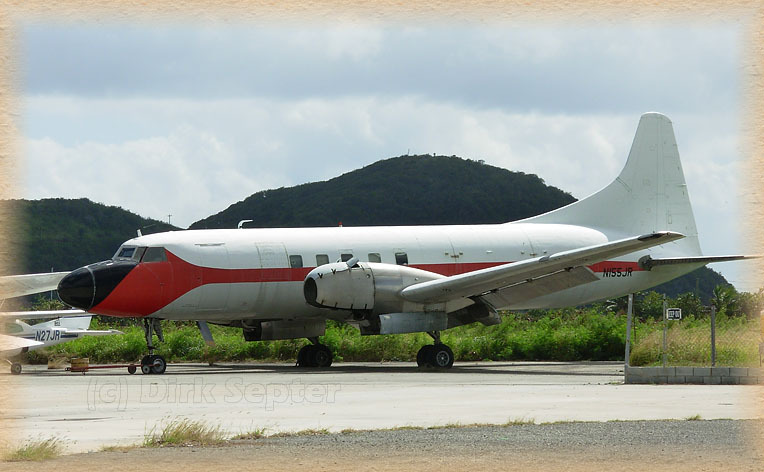 After becoming PT-KUD in 1976, the aircraft was registered on 07Mar83 to Air America Inc. of MacLean, VA. On 19Jun83, the aircraft was registered as N301AK again with Air America, but apparently never taken up. The aircraft seems to have ended its career after having been abandoned here on Aruba, possibly after being caught running drugs or other contraband." See also the caption on Photos by Friends & Guest (page 8), with history details from the Air-Britain DC-3 The First Seventy Years book, published by Air-Britain in 2006. The New Standard D-25 was a 5-seat agricultural and joy-riding aircraft produced in the USA from 1928. Seven New Standards survived in 2007. Airworthy D-25s include two at Old Rhinebeck Aerodrome Museum, New York, and two that operate joy rides from the Fantasy of Flight at Polk City, Florida. Additionally N930V operates on the west coast as of early 2008 and N9194 was recently completely restored and deemed airworthy again in May of 2009. A D-29 (NT-1) is displayed at the National Museum of Naval Aviation, Pensacola, Florida. Designed by R.S. "Pop" Johnson in 1940, the fanciful story of a Culver Cadet obtained as a 'template' aircraft has now entered into popular mythology surrounding the aircraft's origins. The design was secured by John Kennedy, president of the Globe Medicine Company, to be built by his new Globe Aircraft Company. World War II interrupted their plans, however, and the 85 hp GC-1A Swift advertised as the "All Metal Swift" re-designed by K.H. "Bud" Knox, received its type certificate on 7 May 1946. Two prototypes were built but essentially, the design remained the same as the type entered production. Globe built about 408 GC-1As. Later that year, the Swift received a more powerful engine of 125 hp, making it the GC-1B. Globe, together with TEMCO, built 833 GC-1Bs in six months. 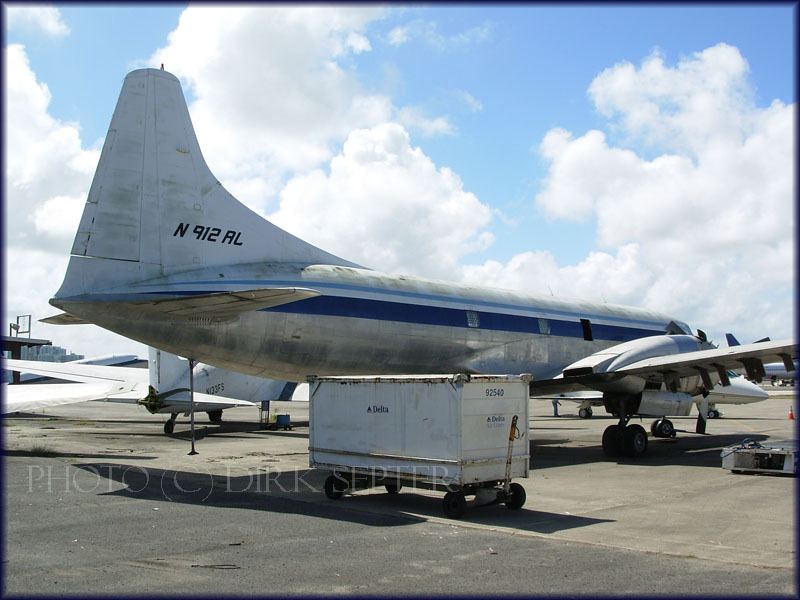 Convair CV440 N155JR (c/n 433) has seen its registration cancelled in March2009 and may have been bought by Jet One Express / Fresh Air for use of its parts... 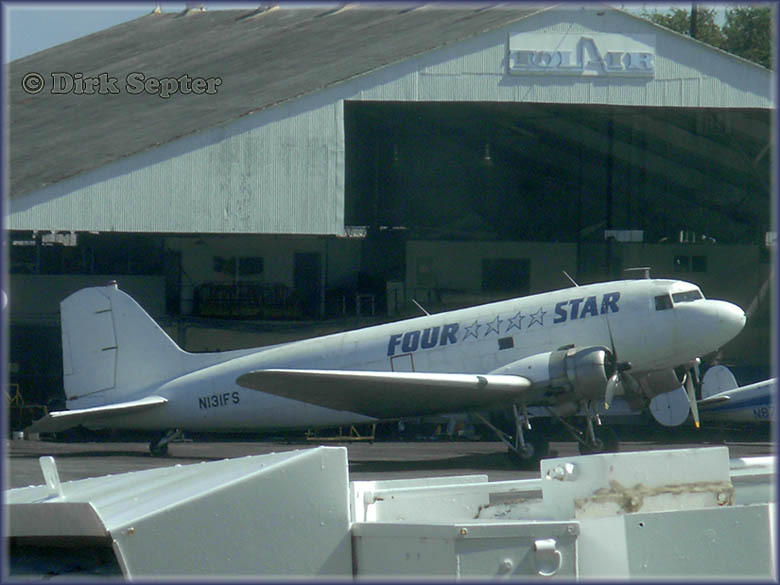 Previous operators/owners, as N155JR, include Rhoades Aviation, Four Star Aviation and Sion Air Express. See also top of page for two more photos. 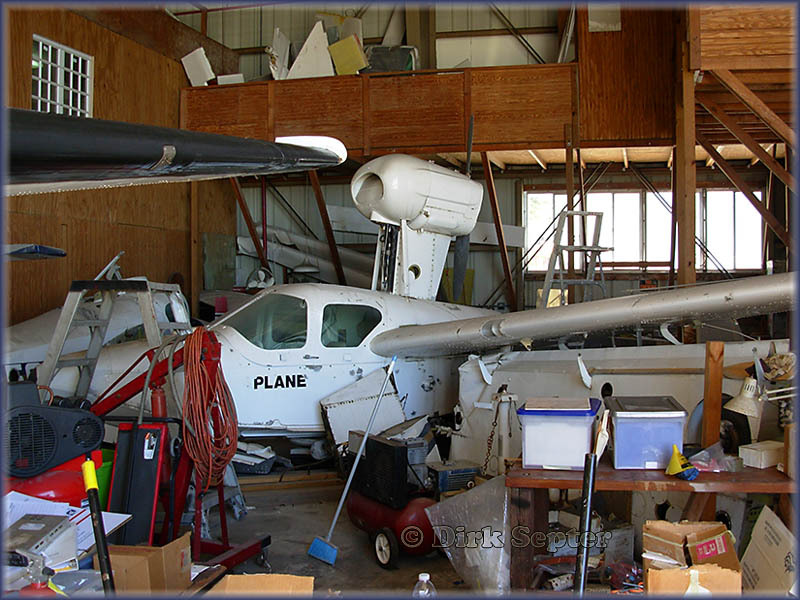 Registered since 24Jan06 to GD Aircraft LLC of Atherton,CA... probably for use of its parts. Probably a Lake LA-4 Buccaneer... Or a Colonial Skimmer..? "Yes, it is a Lake Buccaneer. Directly in front of it is another fuselage of a Lake with tail fins attached. Under the left wing is a wing float and probably the right wing of this Buccaneer, seen from the bottom. Up in the attic I detect two rudders, one wing fillet, one vertical fin and behind the pylon at least three flaps..."
N131FS; N135FS; N136FS; N138FS and N783T. 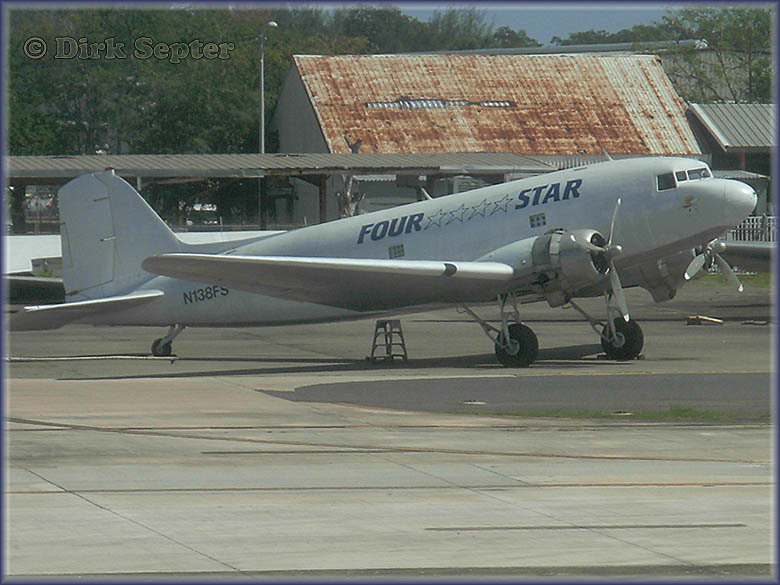 Four Star apparently ceased operations in 2009; see the update with N131FS. Read the update N131FS and N138FS elsewhere on this page. 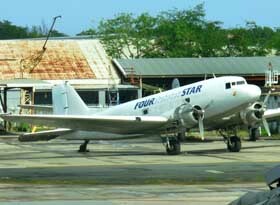 Four Star ceased in 2009. N138FS was sold to Alen Enterprises Inc Dba; I understand the operator is Florida Air Cargo (2016). a 1953-vintage Beech TC-45J, N38L (s/n 51132) of Monarch Air Group LLC. Fort Lauderdale, FL (KFXE) based Monarch Air operates passenger and cargo charters to Caribbean destinations as far south as Trinidad. Their small but versatile fleet includes Merlin II and Chieftain Navajo-passenger and Beech 18, Metro II and DC-3-cargo aircraft. Kenn Borek's Canadian reg'd C-GKBR 1979-built s/n 617, taken at St. Thomas on 29Nov2010. 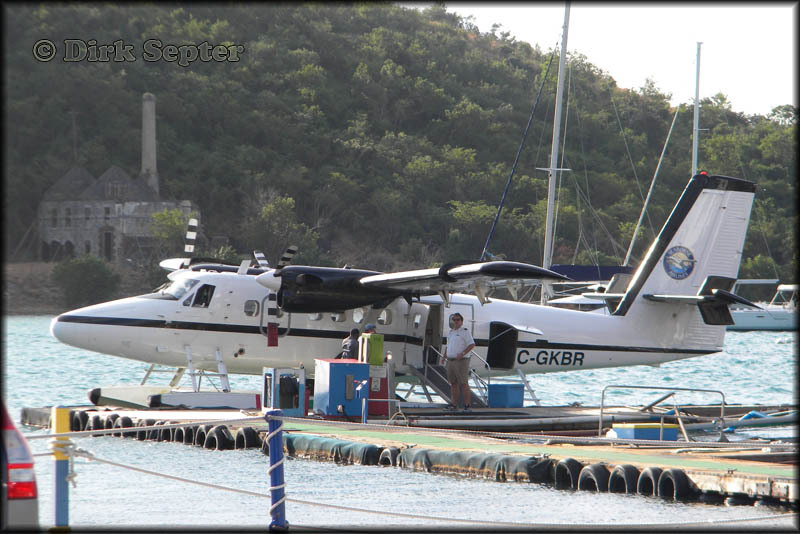 N562CP taken 18Jan 11 at their Saint Thomas, VI floatplane base. 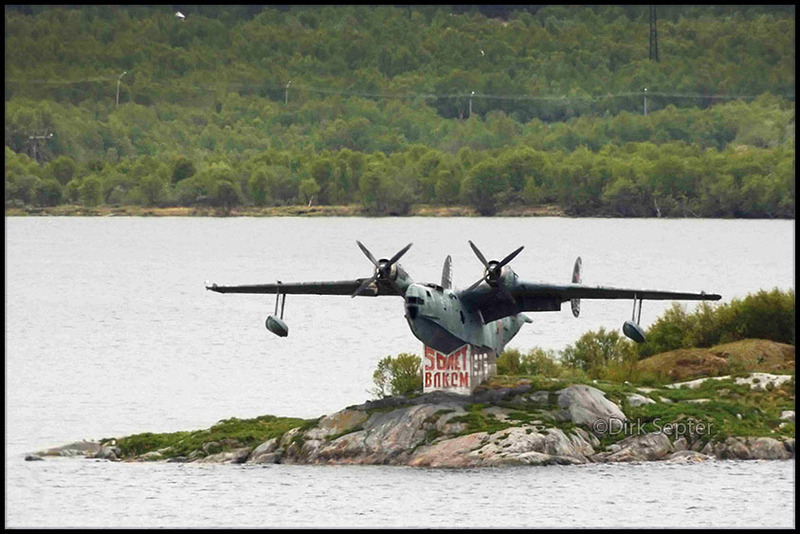 It is interesting to note that N562CP sports large advertising on its floats of a Canadian bank: the Scotia Bank. N251SA, built in 1977, s/n 524, taking off from St Thomas on 29Nov2010. 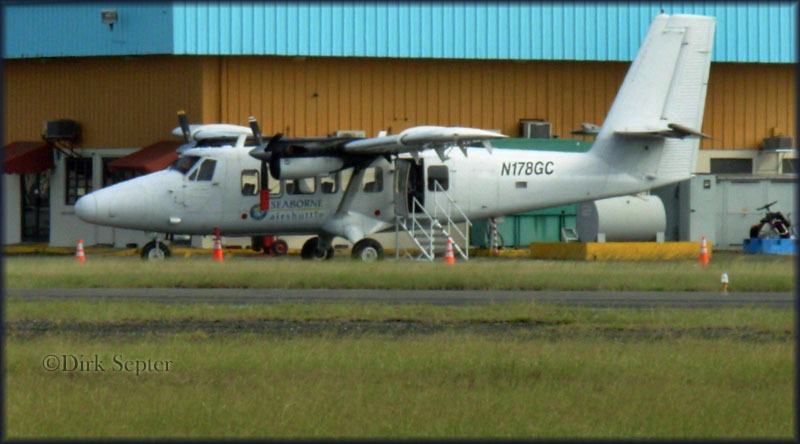 Both N251SA and N288SA are now with bigger windows, operated on wheels, since Seaborne closed their San Juan floatplane base and moved to the Isla Grande airport. 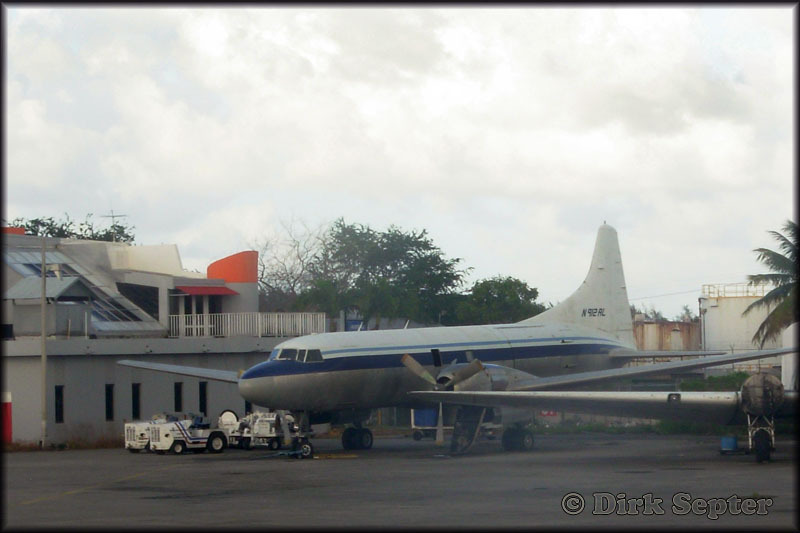 N288SA, built in 1973, s/n 389, seen at San Juan's Isla Grande airport on 28Nov2010. 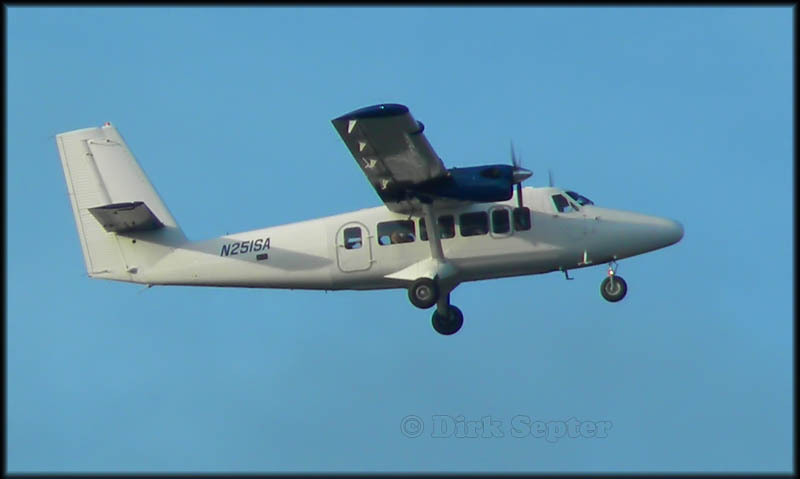 deHavilland DHC-6-300 Twin Otter C-GKBR (c/n 617) is being leased from Kenn Borek by Seaborne Airlines. 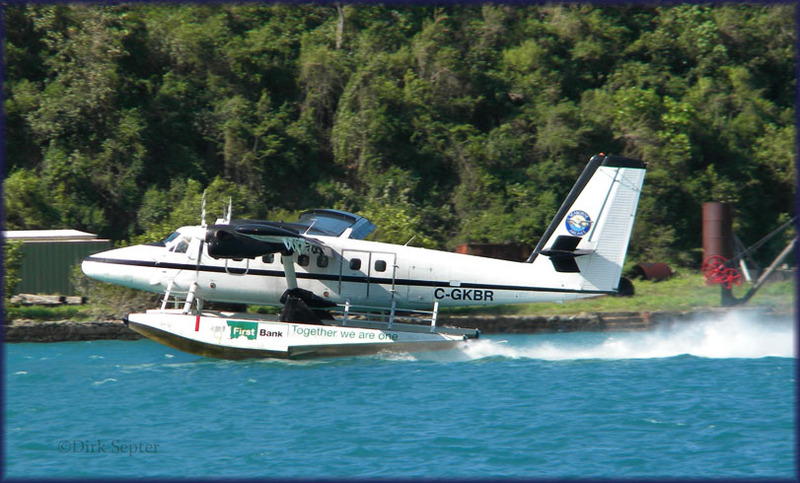 C- GKBR is seen here sporting 'First Bank' ads on its floats; nice action, on the step, at Charlotte Amalie, US VI. 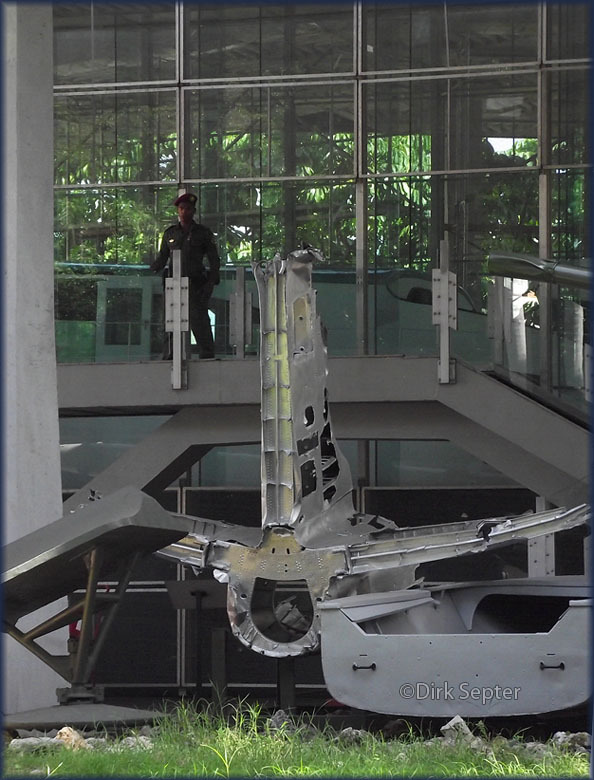 The above photo shows the tail assembly of Major Rudolf Anderson Jr.'s Lockheed U-2 '56-6676', shot down over Cuba on 27Oct62 during Cuban missile crisis. Cuba: an interesting country, with lots of contrasts, poverty, old cars and old colonial buildings that are literally crumbling! Cheap and beautiful, deserted beaches. Worth a return visit. These three snaps were taken in 'Museo de la Revolucion', Havana, Cuba on 19Oct12. 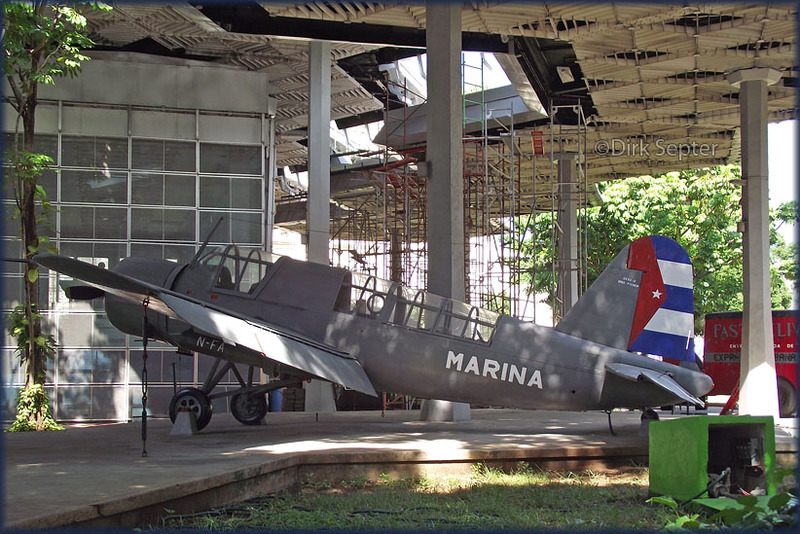 Unfortunately the Havana Museo del Aire was closed in August 2010 and moved to the San Antonio de los Banos Air Base, away from Havana. 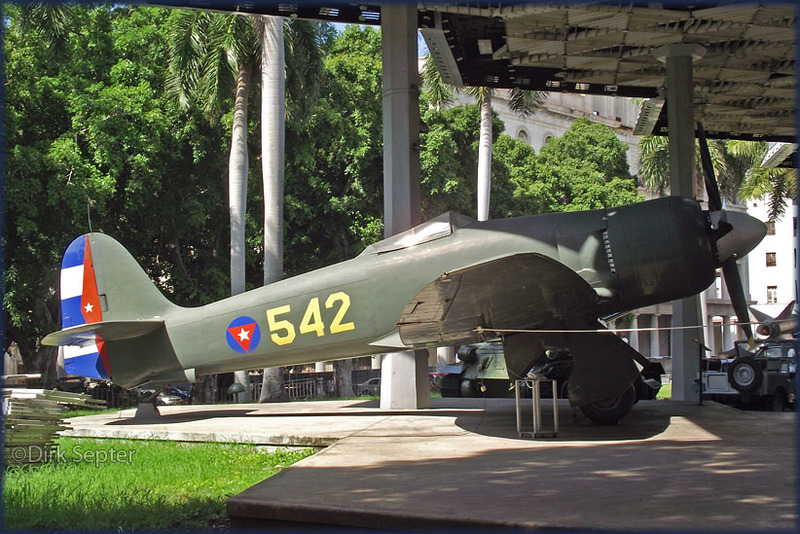 Ex/ Royal Navy Hawker Sea Fury FB.11 '542', used to repel the 1961 Bay of Pigs invasion.